In 1858, reports of gold found on the Fraser River spurred tens of thousands of people – mostly men – to rush into the territory we now call British Columbia. They came with visions of fortune in their eyes. The lucky ones struck it rich, but most left penniless or died trying for the motherlode. Some stayed behind and helped build the colony and the province of British Columbia. 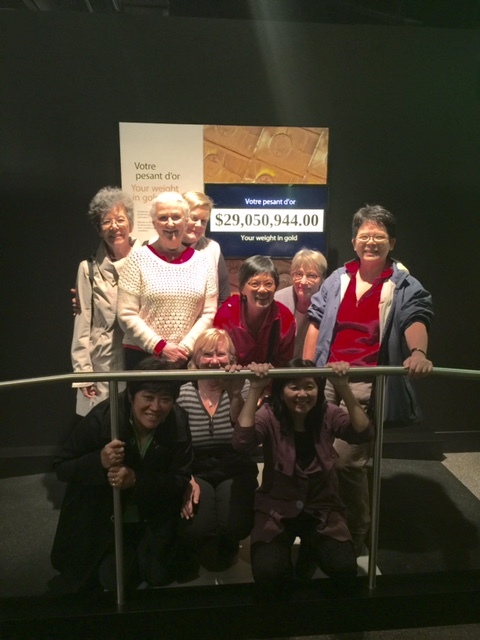 Lioness thoroughly enjoyed a personalized group tour of the Gold Rush exhibit. Dr Tzu-i Chung enlightened and entertained us as she focused on the Chinese migrant contribution to the gold rush in British Columbia. It was a perfect introduction to our author banquet with Paul Yee. Paul Yee, author and gifted story-teller transported us back to an almost lost history when the trans Canada railway was complete and southern Chinese workmen forged on with their lives in a hostile British Columbia . Only one short authored memoir has survived, and paper trails are scarce. Inspired by the lost life stories of these men Paul presented Superior Man . Join us for the 2015 Victoria Festival of Trees at The Bay Centre from November 18, 2015 – January 5, 2016. Every year, Victoria Festival of Trees creates a lush forest of beautifully decorated trees to raise funds for BC Children’s Hospital Foundation. Sponsors, local businesses, organizations and individuals come together and decorate trees in a sometimes wacky, often irreverent and always beautiful fashion. The festival invites visitors to browse through the holiday displays and donate to vote for their favourite trees. In 2015, due to pending renovations at The Fairmont Empress, Victoria’s favourite festival will relocate to another high-profile and historical Victoria venue – The Bay Centre. 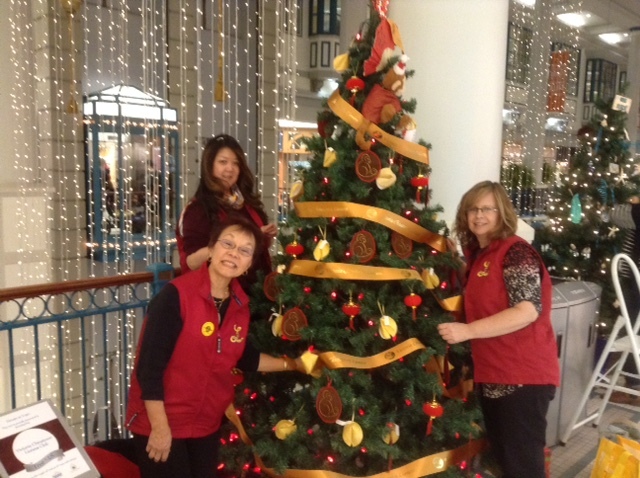 For the first time the Victoria Chinatown Lioness is a tree sponsor at the festival . Please come an enjoy all the trees, and look for our special tree! Last year more than 20,000 votes were cast and participants raised more than $129,000. This entry was posted in AUTHOR TALK, COMMUNITY SERVICE and tagged author banquet, Author Talk, BC Children's Hospital Foundation, Chinese heritage, community support, cultural activities, Dr Tzu-i Chung, Gold Rush, Golden City restaurant, Paul Yee, Royal BC Museum, Superior Man, The Bay Center, Victoria Chinatown Lioness Club, Victoria Festival of Trees. Bookmark the permalink.